Posted April 16th, 2019 by Lillian Price & filed under Dentist. Posted March 1st, 2019 by & filed under Dentist. Dental implants in Murfreesboro TN, are a relatively new solution to replacing teeth when they have to be extracted. There are different types of implants that are available for specific functions. 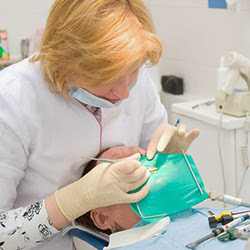 The dentist will have to determine which type of implant is appropriate for your needs. Posted January 15th, 2019 by Lillian Price & filed under Dentist. Posted January 9th, 2019 by & filed under Dental Treatment, Dentist. Posted January 5th, 2019 by & filed under Dentist. Posted January 4th, 2019 by Lillian Price & filed under Dentist. Posted January 2nd, 2019 by Lillian Price & filed under Dentist.